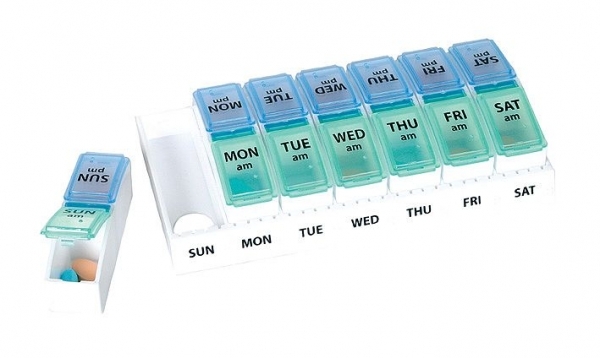 So… last Sunday I loaded up the old lady pill organizer with my wad o’ pills for the week. Amazingly, they fit in the little compartments! After seven days, I haven’t grown any new limbs or turned purple, so hopefully, I am able to manage them. I have noticed an increase in fatigue and I’m going through lip balm like I did on my 30-day hospital sabbatical. Yes, I am calling it a sabbatical. After dealing with a 1 in a 100 chance of getting leukemia and then getting the rare brand, I’m starting to feel that if something is labeled “low risk” it also has my name on it. So when I read the list of side effects like “other cancers,” I’m concerned about being over-medicated. Then again, I’m also concerned about not being medicated enough. Googling doesn’t help. There are more protocols for this type of leukemia than recipes for chicken soup. It seemed to me that it was time for a second opinion and maybe even a consultation with a good Tarot reader. Anyway, while bitching about the meds to my art class, my art instructor mentioned that he knew someone who might be able to facilitate a second opinion from a doc at Rush. By the following afternoon, I had an appointment for November 11. By the time you read this, I will have filled out the seven preliminary pages and maybe even watched a doc furl his brow. I suspect the second opinion may be the same as the first, but what the hell, my deductible was met back in March, so why not talk to someone else. Maybe even make it two out of three??? Just because I wasn’t at the cancer center this week doesn’t mean I didn’t have my share of doc drama. In 2011, I booked a mammogram for last Monday. That came out fine. YAY! On Wednesday, I had a doctor appointment for an annual physical. I’d booked that appointment for September, which I rescheduled since I was having my blood checked several times a week then. It seemed pretty ludicrous. Not that I thought anything had drastically changed since I saw Dr. G two weeks ago, but he’s not doing PAP tests or looking down my throat once in awhile, so I felt a little better knowing someone was paying attention to the rest of me. I LOVE Dr. R. She’s the one who called me weekly to check in when I was on my “sabbatical.” She supports alternative therapies, such as Reiki and acupuncture, and she spends A LOT of time learning about my life. A LOT. So I’ll let you know what treatment the committee comes up with. Hmmm…treatment by committee sounds a little scary.